The genotype suggested for the tumor is heterozygous. However, the AF is 1.00. 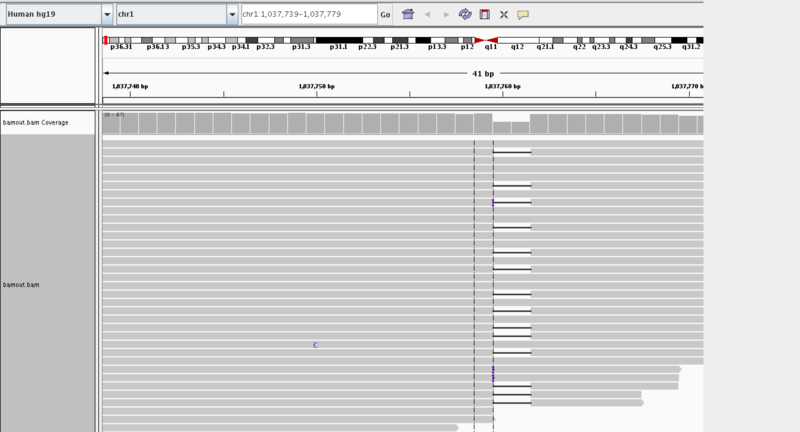 I also see that the QSS for reference allele is 0, but with IGV I checked that the base and mapping qualities at this position are normal for both reference and alternative-supporting reads and that they are primary alignments and have their mates mapped. I got up to 14% AF=1.00, which seems very weird to me for this type of analysis. In this case QSS is not 0, and I feel that it could have some relationship ( (13403)/((2060)+(13*403))=0.814, near to the AF). 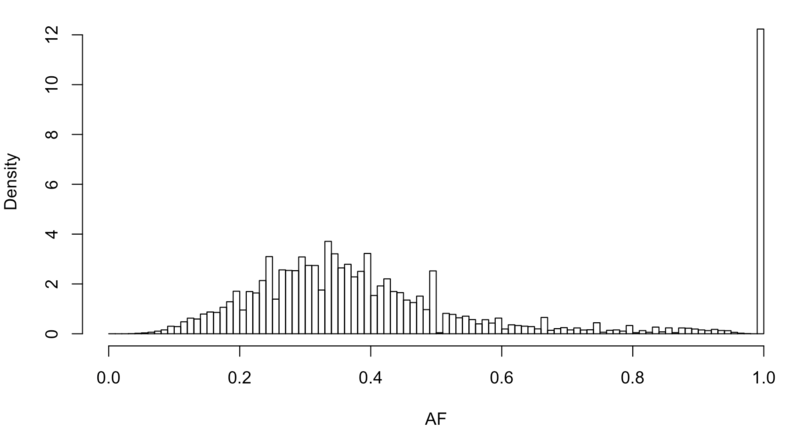 So in summary, I don't understand the way in which AF is calculated. Am I misunderstanding the AF concept or the way it works for this type of samples? Or may I be skipping the reason of QSS=0? Should I use AD for my calculations instead? Sorry for the delay. It looks like the original issue is now fixed in GATK4 MuTect2. You can test it out here. Note the tool is in beta, but you can use it for testing purposes. Sorry for the late response. I had to check with the team. Can you submit a bug report? Instructions are here. I uploaded the bug report with the name discussion9442.tar.gz. Please tell me if you need something else. Thanks. I will have a look soon.